Share With Your Friends !!! 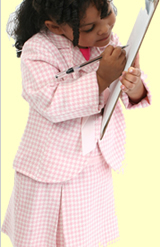 Are you tired of making handwriting worksheets or does it take too long doing by hand? The Teach Me 2 Write font makes it so much easier for you and, in doing so will help you give your loved one the head start they deserve, as well as having fun at the same time. Once you have installed the font you can create unlimited pages of dot to dot text. You can also add your own images or photographs then you can simply print it off and let them practice their handwriting. Create your own custom worksheets for your child you can save the worksheets for use at anytime. The Teach Me to Write Font, lets you create uppercase, lower case and also numbers. The font creates dotted letters with a starting point for each stroke of the letter and a direction arrow indicating the direction of the stroke. You can also change the colour and size of the text you create. Click on the Free sample link below download some FREE sample worksheets. Payment is taken via PayPal once you have made payment you will then be directed to our secure download area where you will find the installation files and installation instructions. Once you have installed the font a folder will appear on your desktop then simply follow the instructions and you will be ready to create your own worksheets in no time. Teach me 2 write is simply a font which, when you open up the Teach Me document from your desktop, it will automatically open up in your default word processor e.g. Word or Wordpad (which comes part of windows Windows XP and vista). The font, as you can see from the image below, has numbers and arrows to guide your child. You can also adjust the font size as they progress. Why not try E-Flashcards ? motivate older the pupil the more difficult it is to change poor hand writing habits, unless the pupil is motivated. write school for kids. kids font children's will help handwriting. fonts fonts every where but not a drop to drink from the font of knowladge. learning to write teaching kids how to write is fantastic font the let parents kids show how to write. writing, & and teaching children to write is important and using a learning font will always help kids and children who know how to write when using kids font learning to will aways write fonts my child improved writing. children, kids, typefaces, brats, write, handriting, always strive to improve , starting to write, is easy writing for teachers and poor, learners to write. 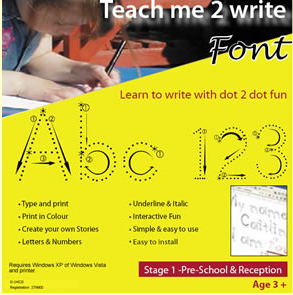 a child new to , writing, show me how to write new font kids is great for spelling kids counting, kids writing.